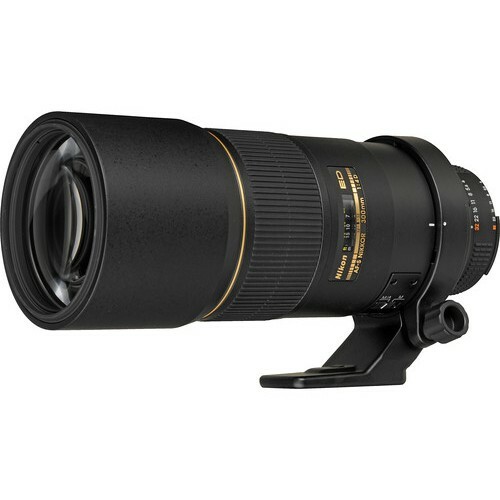 A part of the acclaimed line of Nikkor f/4 lenses, the AF-S Nikkor 300mm f/4D IF-ED is an ideal partner for you if you’re seriously into wildlife photography. 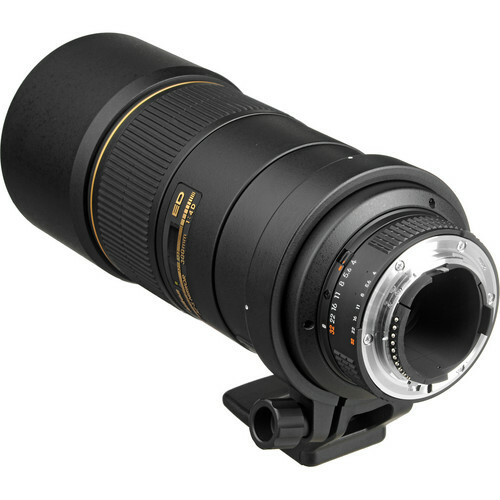 This f/4 lens from Nikon is very sharp and fast too. 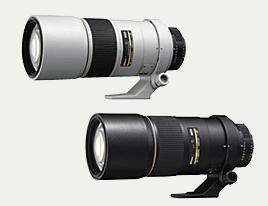 If required to further extend the reach, the AF-S Nikkor 300mm f/4D IF-ED is compatible with a host of Nikon’s teleconverters such as the TC-14EII, the TC-17EII, the TC-20EII and the TC-20EIII. Nikon’s Silent Wave Motor technology makes the lens very quiet when focusing, something that is necessary for shooting wild life. Internal focusing elements means the lens barrel never extends when focusing, suitable for you if you’re into high precision photography using filters and polarizers. 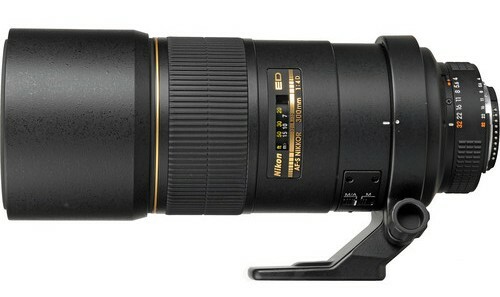 Nikon has also provided Super Integrated Coating (SIC) to ensure multi-coating of the lens. The lens has a maximum angle of view of 5°20′ on a DX format DSLR and 8°10′ on a FX format DSLR. There are 10 lens elements which are arranged in 6 groups including 2 ED glass elements. The lens diaphragm is made by 9 blades. 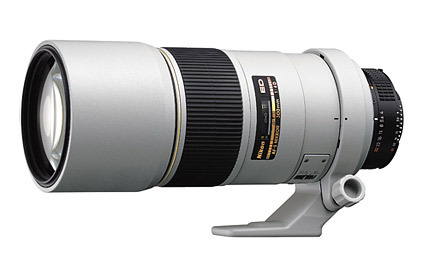 Even for a telephoto lens of such range the closest focusing distance is only 4.8’ (1.45 meters). Diameter x length(extension from lens mount) Appproximately 90 x 222.5 mm/3.5 x 8.8 in. Weight Approximately 1,440 g/50.8 oz.